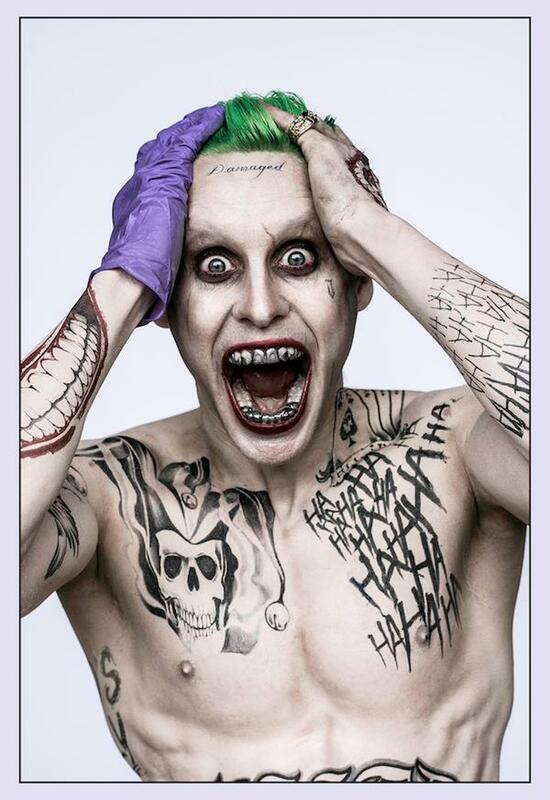 Suicide Squad director David Ayer sent comic book fans into a frenzy with the Twitter release of the first images of Jared Leto in full makeup as The Joker (at left). The photo shows the Oscar award-winner looking completely maniacal. Green hair, metal teeth, and an array of tattoos suggest this version of the character will continue to be dark and disturbing. The release of the photo also commemorates the 75th anniversary of the DC super-villain. He made his debut in the first issue of the Batman comic book in April 1940. The new look of The Joker differs from previous versions played by Jack Nicholson and Heath Ledger. Jared will undoubtedly draw comparisons and his performance will be heavily scrutinized by fans and comic book junkies.